The investigation is now complete. 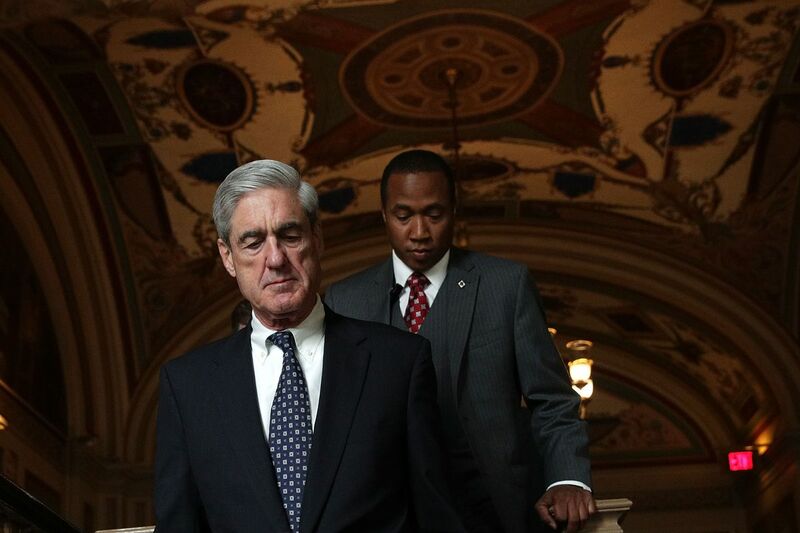 Special counsel Robert Mueller’s team indicted or got guilty pleas from 34 people and three companies during their lengthy investigation, which is now complete. That group is composed of six former Trump advisers, 26 Russian nationals, three Russian companies, one California man, and one London-based lawyer. Seven of these people (including five of the six former Trump advisers) have pleaded guilty. If you also count investigations that Mueller originated but then referred elsewhere in the Justice Department, you can add a plea deal from one more person to the list. However, Mueller did not allege any crimes directly connecting the two — that is, that Trump advisers criminally conspired with Russian officials to impact the election. Other reported focuses of Mueller’s investigation — such as potential obstruction of justice by the Trump administration — also did not result in any charges. Justice Department officials told reporters Friday that this is the final list, and that no more indictments are coming from the special counsel’s probe. 2) Paul Manafort, Trump’s former campaign chair, was indicted on a total of 25 different counts by Mueller’s team, related mainly to his past work for Ukrainian politicians and his finances. He had two trials scheduled, and the first ended in a conviction on eight counts of financial crimes. To avert the second trial, Manafort struck a plea deal with Mueller in September 2018 (though Mueller’s team said in November that he breached that agreement by lying to them). He was sentenced to a combined seven and a half years in prison. 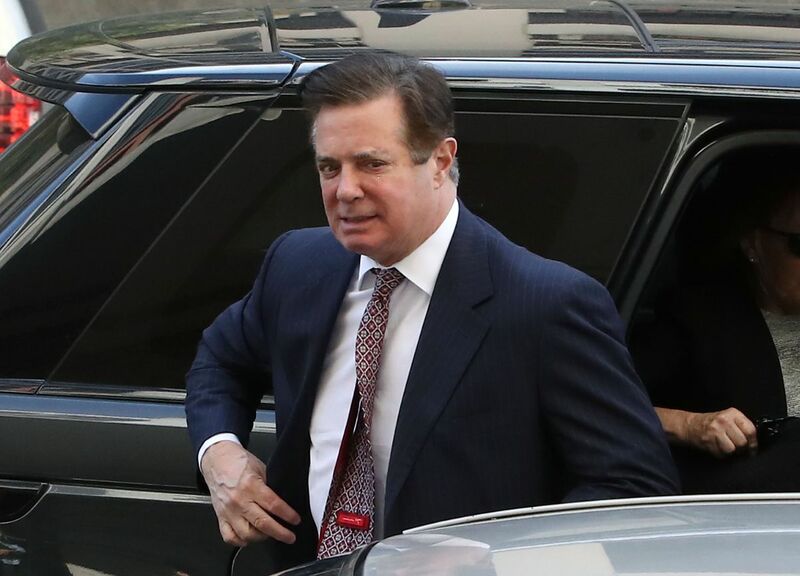 The conviction finally brought Manafort to the table, and on September 14, he and Mueller’s team struck a plea deal requiring his cooperation. Manafort pleaded guilty to just two more counts — conspiracy to defraud the United States, and an attempted obstruction of justice charge. But he admitted that the other allegations Mueller previously made against him were true as well. The cooperation element of his plea deal fell apart in November, though, as Mueller’s team accused Manafort of lying to them. Manafort ended up being sentenced to a combined seven and a half years in prison. There’re another instance in which where Mueller surfaced incriminating information about someone, but handed off the investigation to elsewhere in the Justice Department. For more on the Mueller probe, follow Andrew Prokop on Twitter and check out Vox’s guide to the Trump-Russia investigation. Robert Mueller won’t save us. Only Congress can decide if the president is above the law. Mitt Romney is “sickened” by the Trump administration’s “dishonesty” after reading Mueller report The Republican senator broke with his party, criticizing the Trump administration after reading the 448-page report. The false choice between helping Notre Dame and helping poor people Some say the $1 billion donated to the Paris cathedral should’ve been directed elsewhere. Republican Strategist Karl Rove says Bernie Sanders could beat Trump in 2020 The Vermont senator is "a real contender" according to Rove. This Article has a component height of 72. The sidebar size is long.